Sheology Digital, Ireland’s largest digital media publishing company is honoured to have our co-founder Sandra McKenna named as Digital Businesswoman of the Year at last night’s IMAGE Business Woman of the Year Awards 2015. Starting her career in digital as a mummy blogger in 2009, Sandra launched her first website MummyPages.ie when she couldn’t find any find quality Irish parental advice online during her own maternity leave. MummyPages.ie has since grown from just 5,000 followers to Ireland’s biggest online parenting community with over 675,000 unique visitors to the site every month. This accolade celebrates the successful digital publishing business Sandra has co-founded with her husband Cormac which has a unique ability to reach women online throughout each stage of her life with websites targeting new millennials: SHEmazing.net; and mums with MummyPages.ie, MagicMum.com; that combined reach 1.6 million unique users in Ireland and a further 1.8 million users in the UK through the parenting platform MummyPages.co.uk. Now in its ninth year, the IMAGE Businesswoman of the Year awards aims to recognise and celebrate inspirational women across all areas of the Irish business world. The award ceremony was held at Double Tree by Hilton. 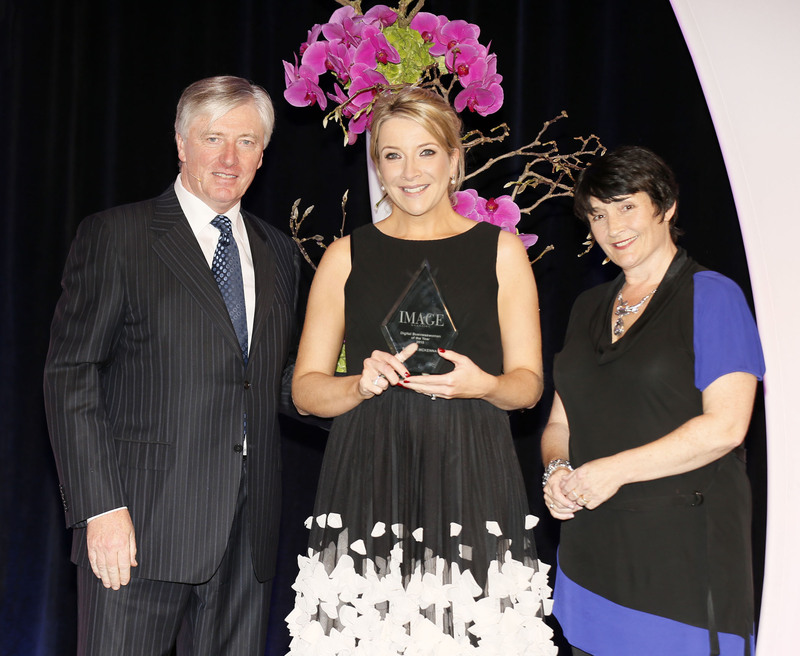 The glitzy award ceremony was co-hosted by TV & radio veteran Pat Kenny, Present on the night to judge the nominations was Laura George, Chair of Image Publications, Bobby Kerr, Entrepreneur and Presenter of Down-to-Business Newstalk and Lucy Gaffney, Chair of Communicorp.